Your guide for fishing on the waters of Green Bay, Door County and Lake Michigan including Oconto, Marinette, Sturgeon Bay, Egg Harbor, Fish Creek, Sister Bay, the Menominee and Fox Rivers, Cedar River, MI and Little Bay De Noc, MI is Paul Delaney. Some people think charter fishing is only for the serious fisherman. Late-Eyes Sport Fishing and Guide Service in Door County, WI makes charter fishing fun for all! Your guide for fishing on the waters of Green Bay, Door County and Lake Michigan including Oconto, Marinette, Sturgeon Bay, Egg Harbor, Fish Creek, Sister Bay, the Menominee and Fox Rivers, Cedar River, MI and Little Bay De Noc, MI is Paul Delaney. He has had over 20 years involvement with sport fishing and is very experienced when it comes to the best Door County fishing locations for every season. His knowledge is your gain! The whole family can learn better techniques on how to fish in Door County with Captain Paul Delaney. Because of his expertise with fishing on the bay of Green Bay and Lake Michigan, your fishing excursion with our guide service will be top notch. The fishing captain is fully insured and is a licensed USCG Charter Captain. Paul is excellent, not only will he put you on the fish but he is professional courteous and personable. We were just shy of a 2 day limit for the 2 days we went out with him and it was some of the most fun we've ever had while ice fishing. Catching fish is a great added bonus but creating lifetime memories and experiences is what Paul is great at as a guide and a person. Thank you again and cant wait till next year.. The things you do need to bring for fishing with us on the waters of Door County, Green Bay or Lake Michigan are: sunscreen, sunglasses, rain gear, a cooler for all the fish you’re going to catch, a Wisconsin State Fishing License, a camera, life jackets for children 12 years or younger, motion sickness medication (if necessary), and any snacks or beverages of your choice. Fishing in Door County and Sturgeon Bay has the reputation of being a great place for the potential of trophy fish. 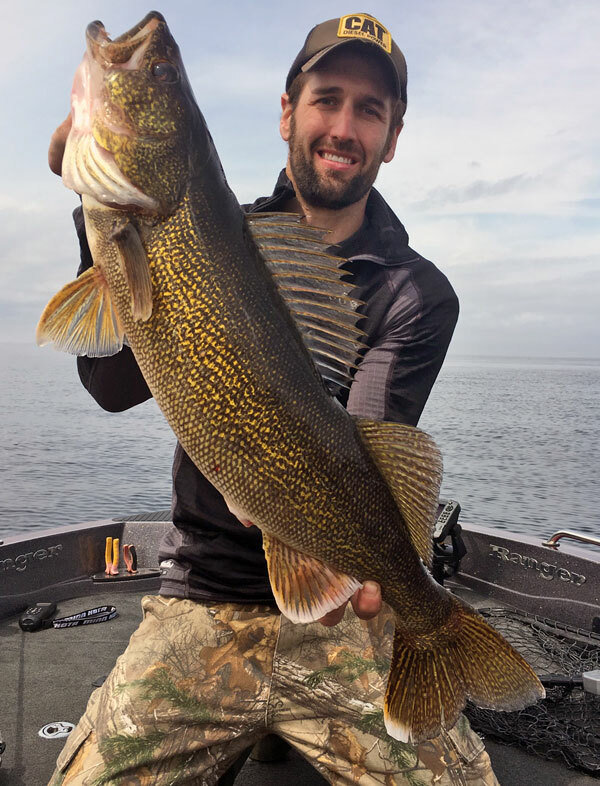 In Door County depending on the time of year (check our Seasonal Locations Tab) you can expect to catch plenty of Walleye, Small Mouth Bass, Northern Pike, and Salmon. 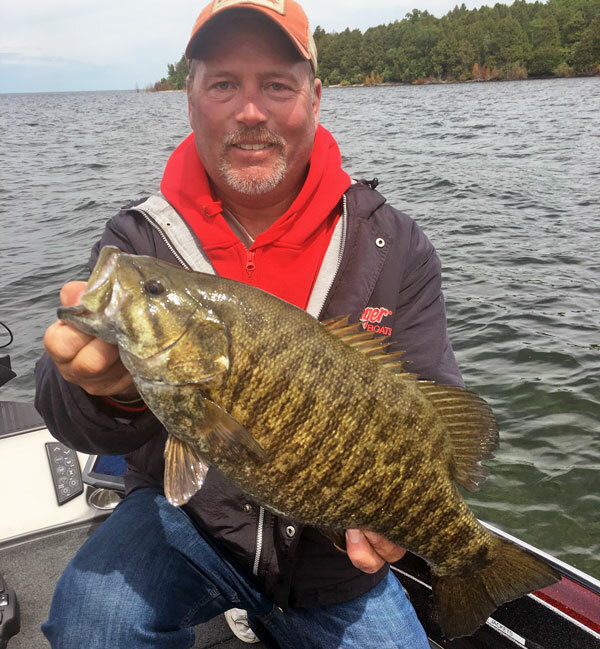 At Late-Eyes Sport Fishing and Guide Service, we offer Trophy Spring and Fall Fishing for Small Mouth Bass and Walleye in Door County. Book Your Door County Charter Fishing Guide Today! Whether you’re looking to have a charter fishing trip in Door County, Green Bay or on Lake Michigan, here at Late-Eyes, we’re ready for you! So what are you waiting for? Book your charter fishing trip today! Late Eyes Sport Fishing uses a new 2017 Ranger 621 powered by a 250 hp Mercury Pro XS Outboard. Also equipped with a new Minn-kota Ulterra 112 lb thrust trolling motor, The Ranger carries all the appropriate advanced navigation equipment, including Lowrance GPS with mapping chips, Raymarine VHS radio and Lowrance fish locators.